We are so excited to announce that our 2017 Limited Edition Small Batch will be released this month. A 15-year-old OESK, a 13-year-old OESK and a 12-year-old OESV were selected for this year’s bottle, making it the first Limited Edition Small Batch in our brand’s history to feature only our low rye mashbill. Bottled at barrel strength with a proof of 107.3, the remarkably balanced 2017 Limited Edition Small Batch introduces warm aromas of allspice and vanilla bean, mingled with rich apricot. Bright raspberry flavors greet the palate, then give way to hints of decadent sweet cherry and light oak. The finish is long, with notes of rich brown sugar and hints of cinnamon. Approximately 13,800 hand-numbered bottles of the 2017 Limited Edition Small Batch Bourbon will be distributed in the United States. 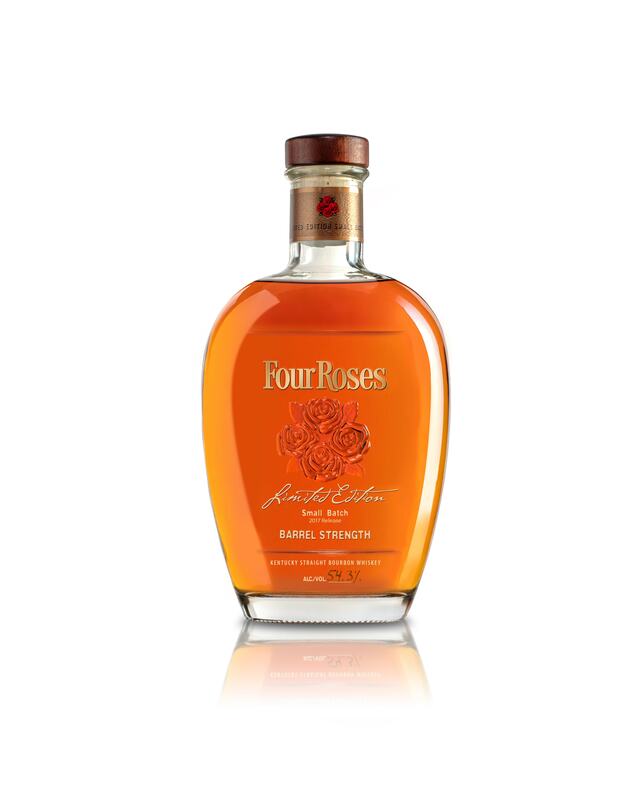 On Saturday, September 16, a limited number of bottles will be available for purchase at the Four Roses Distillery and Warehouse & Bottling Facility. The Limited Edition Small Batch will roll out to additional select retailers in the coming weeks.